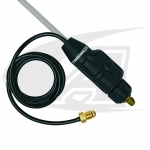 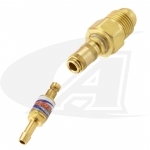 Water-Cooled TIG Torch Connectors Safest, Most Versatile Connectors Available! 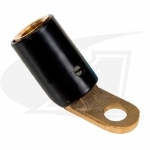 CK Worldwide's SafeLoc connectors are the most complete line of Modular Connectors available. 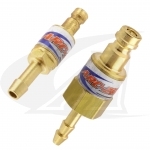 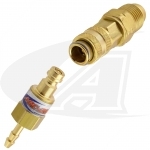 Choose From Large 1/2" (12.7mm) and Small .355" (9.0mm), Gas-Thru and standard DINSE Plugs to Tweco, Lenco and Cam-Loc style connectors, all in one easy to order and easy to use connector. 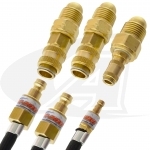 SafeLoc connectors modular design can be configured to fit virtually any welding machine on the planet! 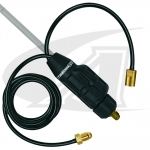 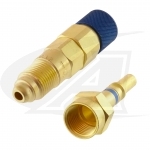 Arc-Zone.com makes it easy for you to find a connector for your welding application and budget! 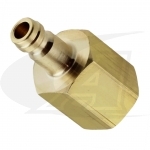 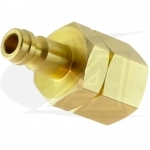 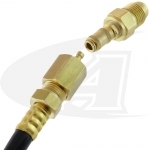 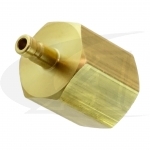 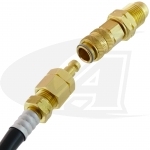 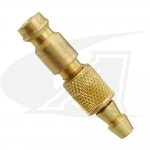 If you have a machine with a threaded stud, we have brass adapters (power blocks), or you can convert your machine to a DINSE connector with a stud-to-DINSE converter. 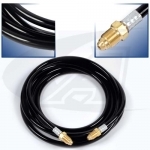 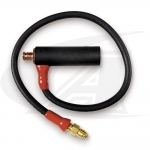 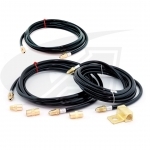 Lastly we offer water and gas hoses needed to go from your flow meter to your machine, and from your water-cooler to your machine, from standard 12.5' (3.8m), 25' (7.6m) and 50' (15.2m) - or customize your own with our Water and Gas Hose Kit-- all the hardware needed to make high-quality hoses exactly the length you need. 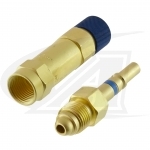 Need help figuring out which type of SafeLoc connector you need for your machine? 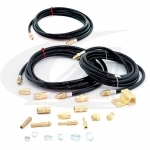 Check out Arc-Zone.com's CK Worldwide SafeLoc Reference Guide(pdf). 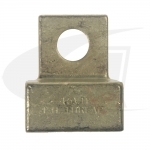 If you still need help, don't hesitate to contact one of our friendly and knowledgeable Customer Care representatives, they would be happy to help you!